Where Do Dog Fleas Come From? Have you ever seen a summer warning about fleas and wondered where they come from? We hear all the time where pets pick up ticks and why we should be wary, especially around summer time, but fleas – well, not so much. But it’s important to know and understand why we should take these little parasites seriously because if your dog does pick fleas up, they could have a lasting impact on their health, especially if your dog develops an allergy. Here are some of the most common flea facts you should know. It is a myth that pets pick fleas up from other pets, as fleas rarely jump from one pet to another. In fact, pets pick fleas up from infested environments where untreated pets or wildlife have been. These animals pass through your garden or favourite outdoors walking spot, dropping flea eggs that hatch and infest the area. 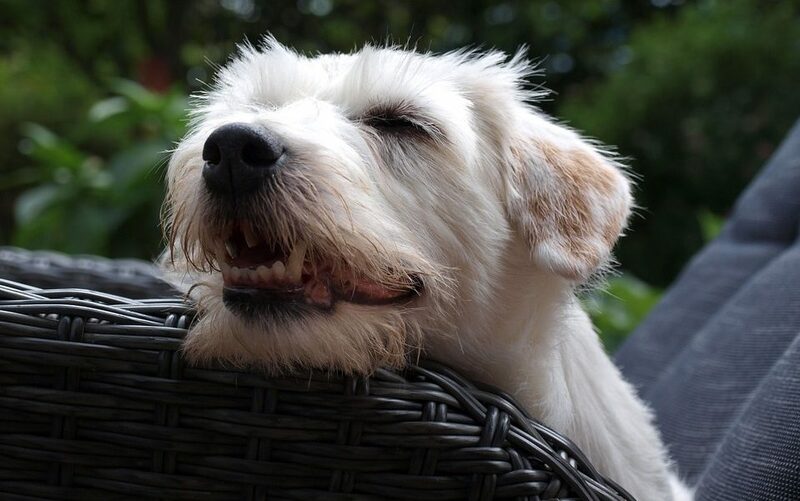 Most UK pets live indoors, but if your pets spend a lot of time outdoors, enjoying summer napping or sunbathing in the garden, then they are still at a greater risk of re-infestation. This is because untreated pets, stray cats and urban wildlife, such as foxes, frequently use gardens, simply passing through or seeking shelter from the weather in porches or beneath bushes and shrubs. These areas then act as incubators where fleas quickly breed and thrive, making infestations even harder to eliminate. Did you know that 95% of the flea problem in a home can be found within carpets and soft furnishings as eggs and other immature fleas? Flea infestations often go undetected for 3 to 8 weeks. Experts at FRONTLINE® tell us a female flea can lay up to 50 eggs a day – that’s 50 eggs which could be dropped around your home, in your carpet, sofa, dog beds and even your bed if your dog is a regular bed snoozer. During the warmer months 50 eggs can become 1,000 in as little as 3 weeks. Therefore, it’s important to preventatively treat your dog and your home regularly to kill fleas and stop any flea eggs before they develop and multiply.